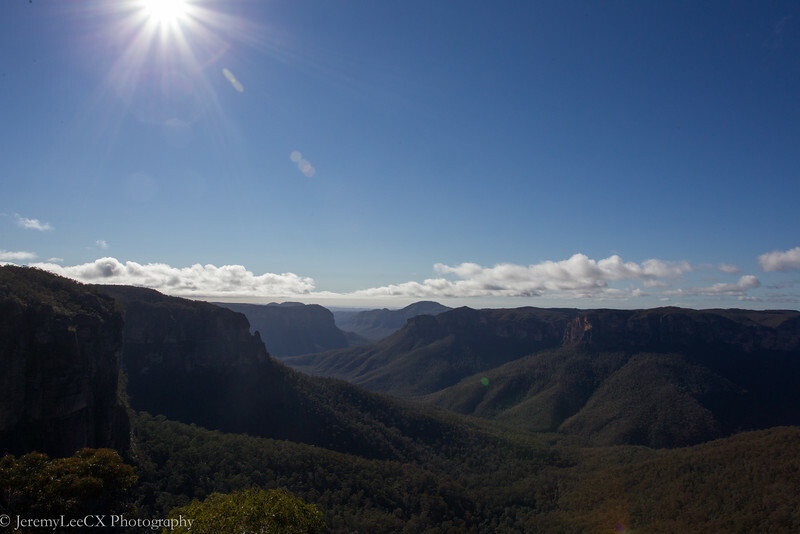 After 2 nights at Katoomba, we started to pack up & check out from Echo Point Holiday Villas. We took a tour of the Katoomba Town and bought subway breakfast before driving out towards Govetts Leap Lookout Point. 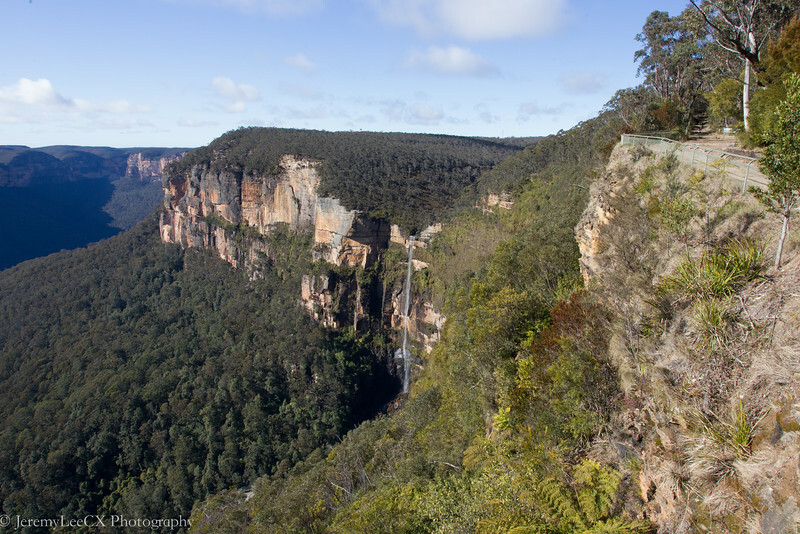 It takes a 45mins drive to reach Govetts leap which is off the town of Blackheath. 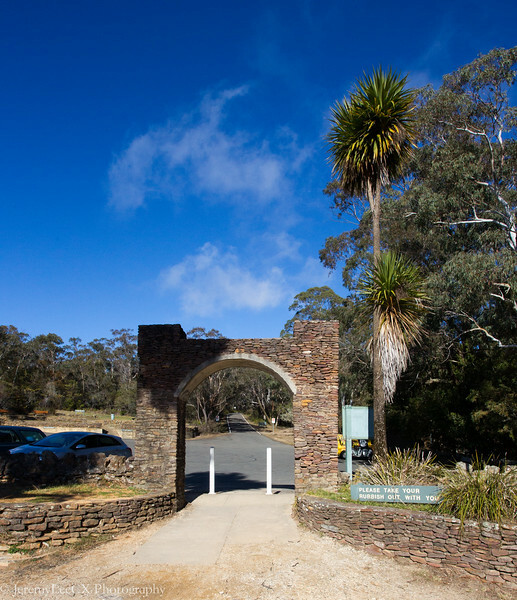 The stone entrance to the lookout point looks centuries old! After taking the shots, we were famished and i turned back towards the picnic area for my subway sandwich. Manage to get a nice shot of the entrance from the position i was. One reason why I look forward to returning to Australia is the beautiful laodscape. 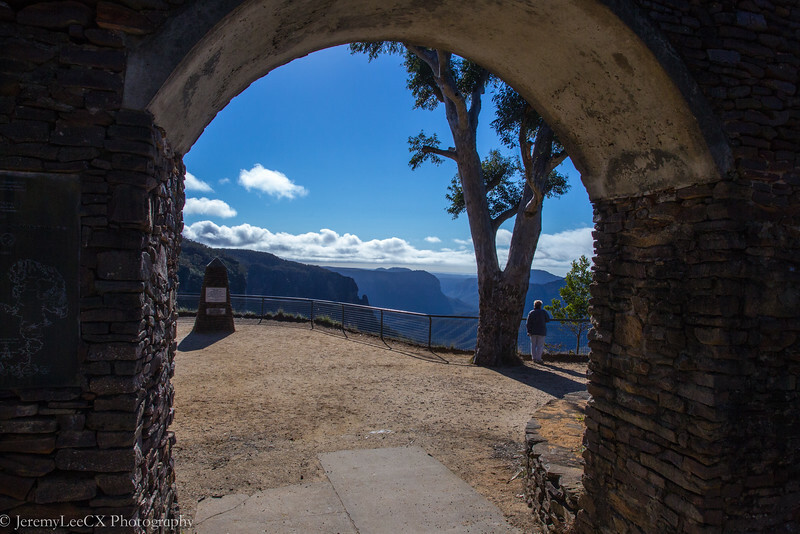 At each lookout point, there are informative boards and also proper seating areas for us to rest and take a breather. Each nature sight is well taken care of and almost everyone i seen love the environment and do take care of it. 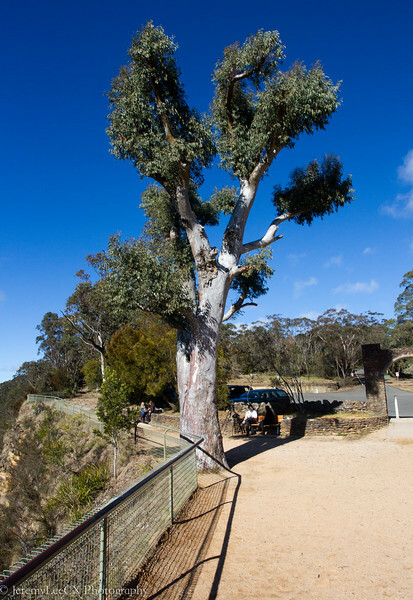 After a short picnic at Govetts Leap, we move forward to our final lookout point before driving towards sydney city.